Brain injuries and spinal cord injuries often have long-term effects on an injured person’s ability to accomplish daily tasks, to hold a job and to maintain his or her earning power, as well as on overall health. At the Orzoff Law Offices, our goal is to ensure injured people and their families receive the financial compensation needed after a serious injury, not only to cover medical bills today, but to compensate for lost wages and medical needs in the future. One of the values of hiring an experienced law firm is that our attorneys work with highly qualified experts in a number of fields. We work with neurologists, orthopedists, physical therapists, life care planners and forensic economists to understand the scope of our client’s injuries and the impact it will have on him or her financially for years to come. If a child or adult is completely disabled and will need skilled nursing care for the remainder of his or her lifetime, our lawyers can explain how to establish a special needs trust to provide for his or her healthcare needs in the future. To schedule a free consultation, contact the Orzoff Law Offices. We have been helping injured people and their families get the compensation they need for more than 40 years. We won’t let our clients get less than they deserve: see our client success stories. While paraplegia and quadriplegia are the most serious results of spinal cord injuries, even less catastrophic back injuries can be life-changing. A spinal cord injury can result in weakness in the arms and legs, making it difficult to walk or lift. It can affect one side of the body and not the other. A back injury from a fall can cause ongoing, excruciating pain that greatly reduces the quality of life. An injured person can receive compensation for the equipment he or she may need (wheelchair, adapted car), modifications to the home (such as door widening) and ongoing medical care related to the injury. If the injured person is not able to live independently, a settlement should also provide for skilled nursing care in the home or in a nursing home. A head injury or traumatic brain injury (TBI) can be both deceptive and devastating. It’s common for many basic skills to be lost immediately after the accident or injury. The person may need to relearn reading, math and other skills he or she learned long ago. The person may have loss of memory or memory lapses. His or her judgment may be impaired. What surprises many families is that their loved one may have experienced a change in temperament. They may have emotional outbursts. An appropriate settlement will cover the costs of therapy and rehabilitation, which may be lengthy. If your loved one is unable to work or cannot do the work that he or she did previously, a settlement should include compensation for future lost wages. 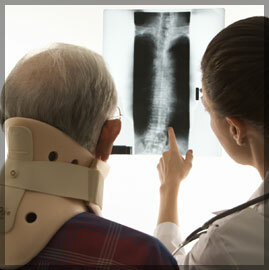 Our attorneys understand the medical and care issues involved in traumatic brain injury and paralysis cases. We can evaluate your case and discuss the best legal options available to you for recovering a fair settlement or award. To schedule a free consultation to discuss your case, contact personal injury attorneys at Orzoff Law Offices.